iOS 9.3 is more featured-packed than previous dot releases. Here's how to make the most of it. Apple’s dot-releases are typically about making iOS run more smoothly, but iOS 9.3 has enough new features we made an entire video about it. In this episode of The iPhone Show, we show you how to make the most out of iOS 9.3 and it’s coolest new features. This new dot-release introduces Night Shift, a new setting that warms up the display colors on your iPhone, so that the harsh blue light doesn’t keep you up at night. Even though the actual science behind this is not yet conclusive, it’s still a more pleasant way to use your phone right before bed. iOS 9.3 also has some much-appreciated updates to Notes and Photos. Now you have the ability to add a password lock in the Notes app. Once you set a password for Notes, don’t forget to click on the actual lock icon to keep your most precious (or embarrassing) ramblings private. And thanks to iOS 9.3, now you can extract the still image from any Live Photo. In the Photos app, simply pull up the Share sheet, and you will now get the option to duplicate the Live Photo or just the still image. 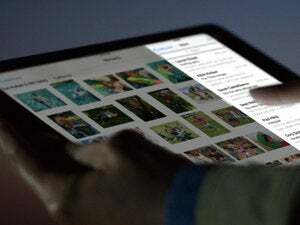 What are your favorite new features in iOS 9.3? Let us know in the comments.